Without giving away too many secrets, over the years we have recognized that there is no coating that is able to hold a roof that is moving in inches. 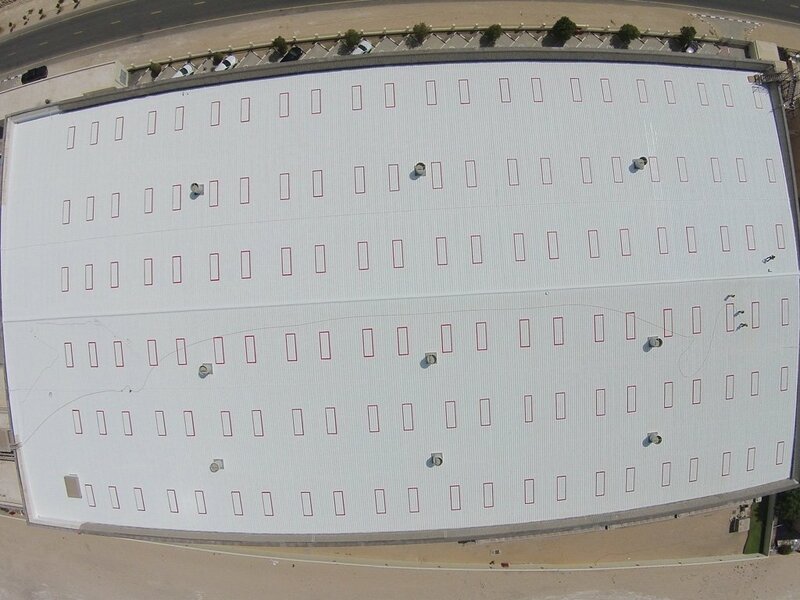 So before we apply any of our coatings, we always address the main cause of the leaks, which is the extreme movement. This is caused by the variance in temperature, and due to the extreme temperatures in this region is a problem in 90% of all buildings. 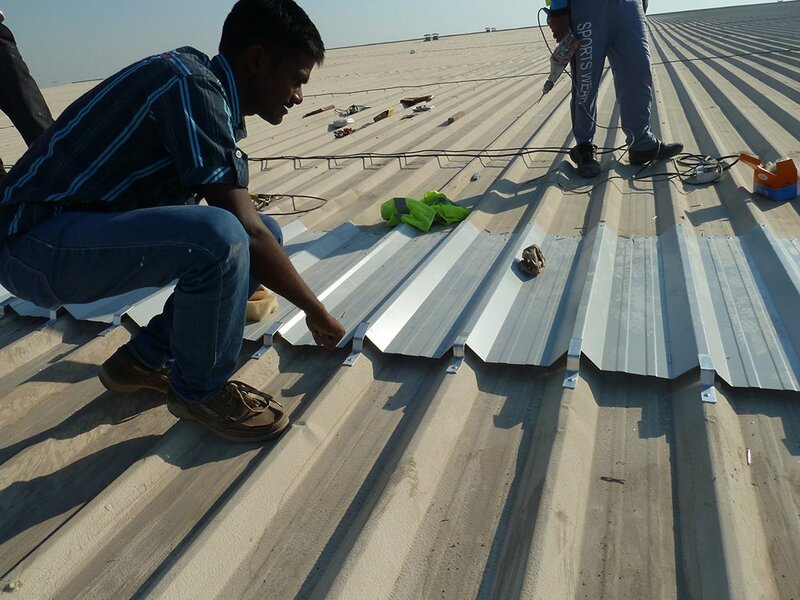 The expansion and contraction of the substrate, whether it be concrete or metal, causes either cracks in the concrete or openings in the endlaps and side laps on metal roofs and joints in most types of gutters. 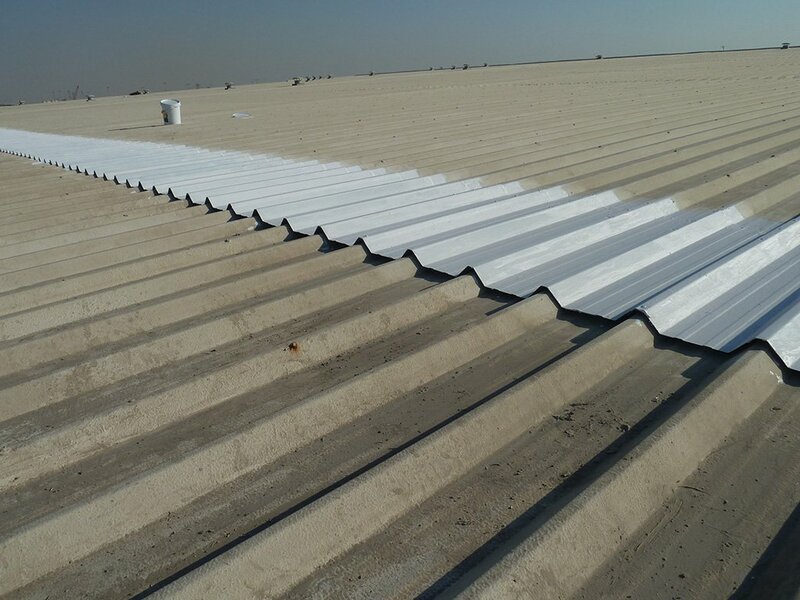 We take out the movement by installing an expandable ridge cap which acts as an expansion joint in the middle of the roof. 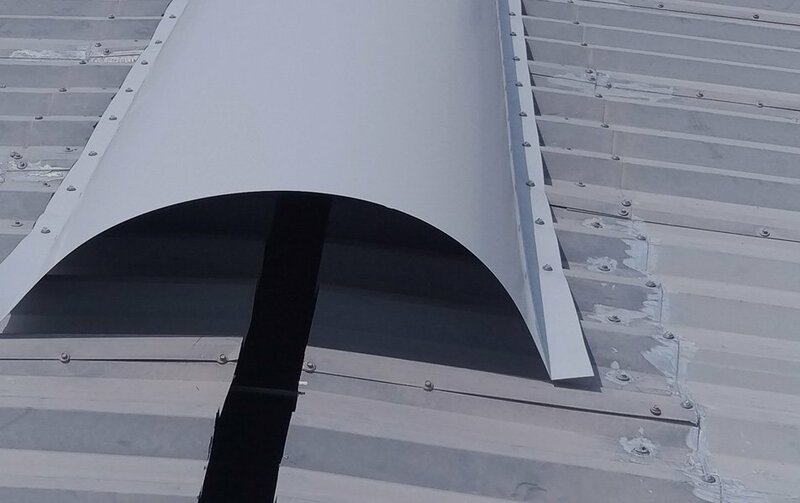 And in larger roofs where we need to take the movement out even further we install floating sheets, which like the expandable ridge cap prevents the movement forming on the endlaps. Trust us when we say that if these techniques are not used, the end laps in particular will crack over time, allowing in either the dreaded condensation or rain. 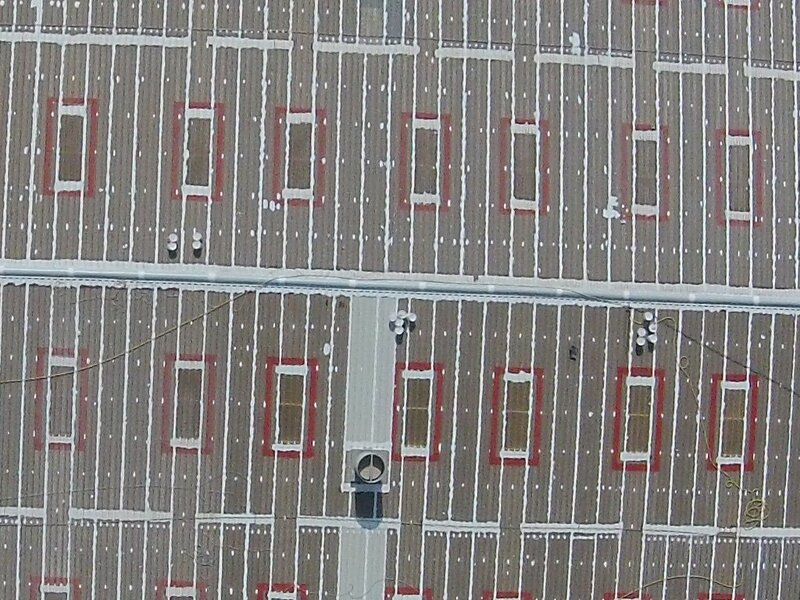 The rest of the application is to applied in the methdodology of our chosen material SurfaceCool Cool-Roof and SurfaceCool Cool-Exterior coatings.